Tonight Drago Centro will debut bartender Jaymee Mandeville’s new winter cocktail menu. The 10 new drinks, which normally run $12 each, will be on special for the night for $8 each. And these aren’t the winter cocktails you’d expect. Nothing heavy or rich, and there’s only one hot cocktail. “In California, it’s not 30 degrees here so people don’t really want to drink that. So I wanted to do all those flavors but do it in a lighter way,” she said. For winter, Jaymee wanted to showcase woody, piney, smokey notes. “And what’s weird, what comes to mind is marmalade jam or canned fruit. 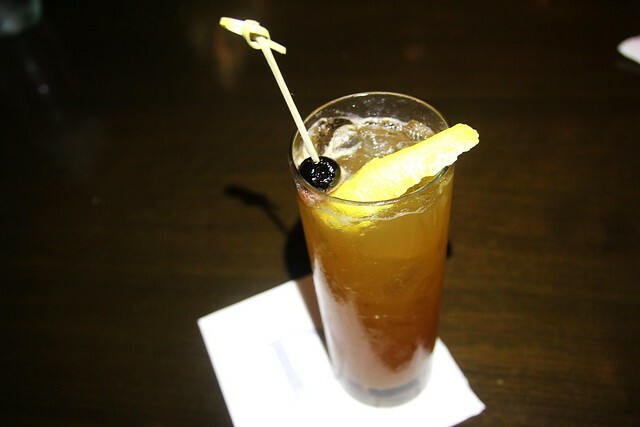 And I wanted to encapsulate those types of flavors in some of the cocktails,” said Jaymee. I was able to sneak a peek of the menu this weekend but only tasted five of the new drinks because I was solo. In any case, here are the ones I tried with my impressions. The Coquettish Angel, pictured above, is bitter, smokey with a hint of floral and a light texture. This approachable cocktail is a nice, “girly” counterpart to that scotch on the rock while seated by the fireplace. It’s also a great cocktail for those usually intimidated by the intense smokiness of mezcal. The idea behind the Bronzeado de Sol was to have a cinnamon apple brandy feel, but “still have that nice, roasty fireplace aesthetic to it.” Stick your nose in the glass of this plain-looking, garnish-free cocktail and you get a big whiff of smoked nuts with a hint of coffee. That strong scent serves as its garnish. It doesn’t need anything else. And what’s crazy is that the scent is a bit misleading as the cocktail tastes totally different. 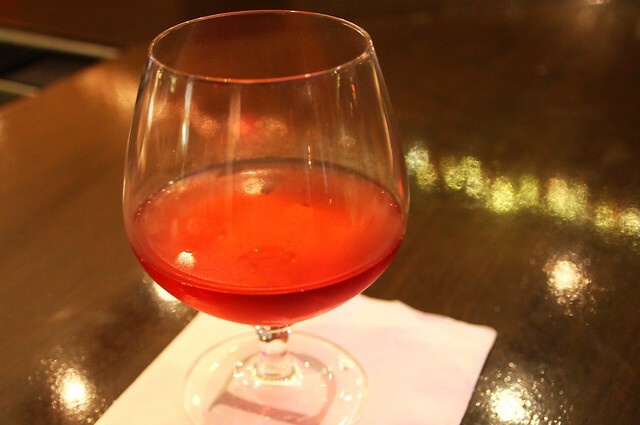 Think “grown-up Jolly Rancher candy” or a muted and smoother Campari. The Sea Loch is bitter, bright, refreshing with a brief hit of savoriness and a tart finish. The sour cherry bitters brings down the otherwise strong flavor of this cocktail. This would be best for one of those hot November Days. This jam-inspired Black Leaf, served in a mason jar of course, is deceptively light with some kick; just drink it before the ice melts. 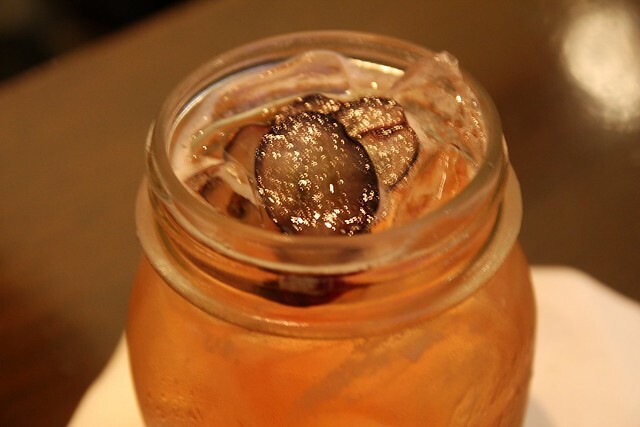 The light rye is complemented by the grape shrub, starting off with vanilla and finishing with that light vinegar taste. Even though this is a winter cocktail, it evokes memories of looking over a vineyard during a warm late summer day. 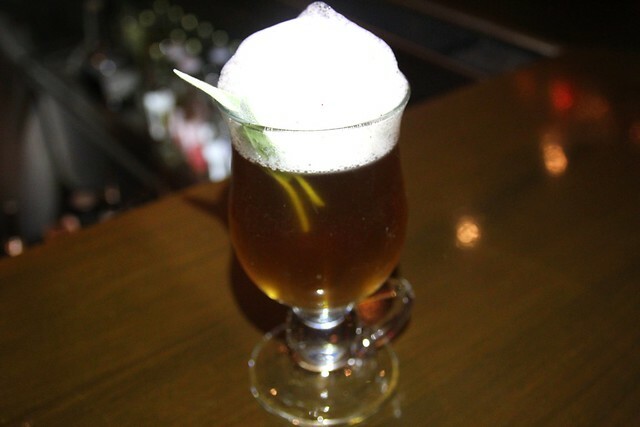 The Soul of Mayahuel, a take on hot buttered rum, celebrates all the flavors of agave. She used Casa Noble Reposado because it has earthiness and more grip than other tequilas and works well with the sage/black peppercorn-infused agave. Jaymee said she’d rather finish up a dinner with this cocktail but I’d like to have it at the bar with some bar bites. Its savoriness makes it too filling to tack on at the end of a big meal. But it’s fun and smells of butterscotch. Perfect for a cold, rainy day.